I had my eye on Garmin HRM-Swim (English link, Czech link) ever since it was launched and yesterday I bought it :D Swimming x-mas coming early? Or reward for the weekend 3 km swim ... anyway, it is exiting to have the option of having accurate HR of your swim. Why didn't we have it earlier? Because the ANT+ or Bluetooth signal has drastically lower distance reach when in the water (basically from many meters down to just few centimeters). 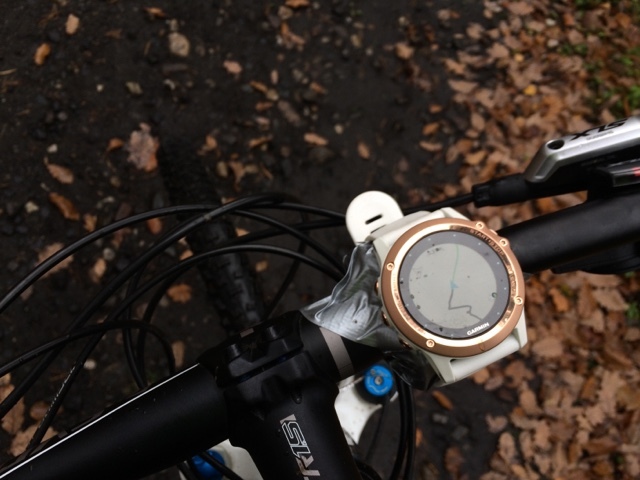 There were ways around it with the optical HR monitors, but those had many "but" in the description of use. 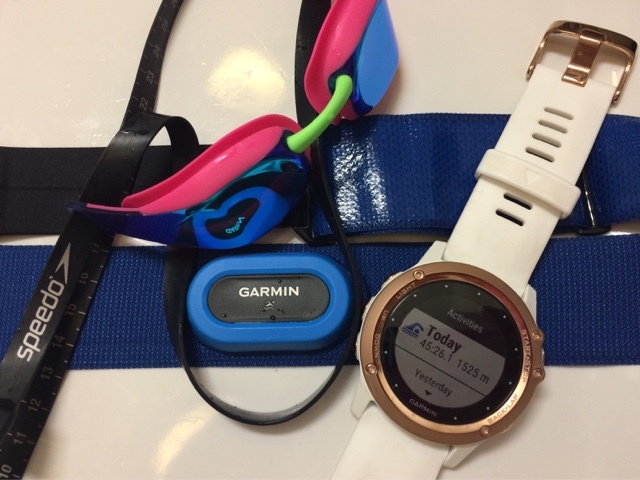 Garmin HRM-Swim - How Does It Work? 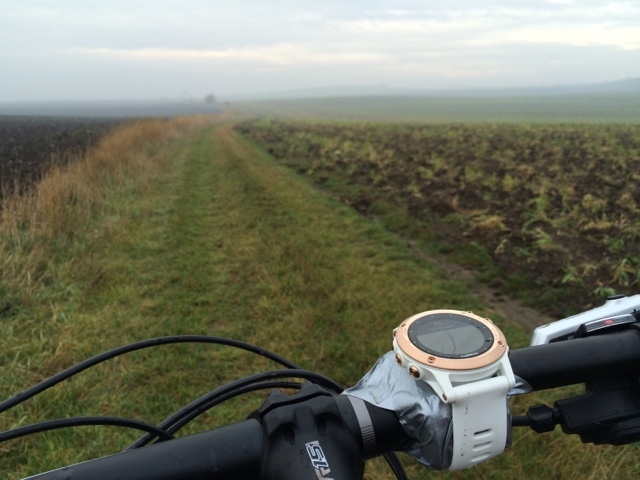 Well Garmin did not invent a way to go around physical laws. 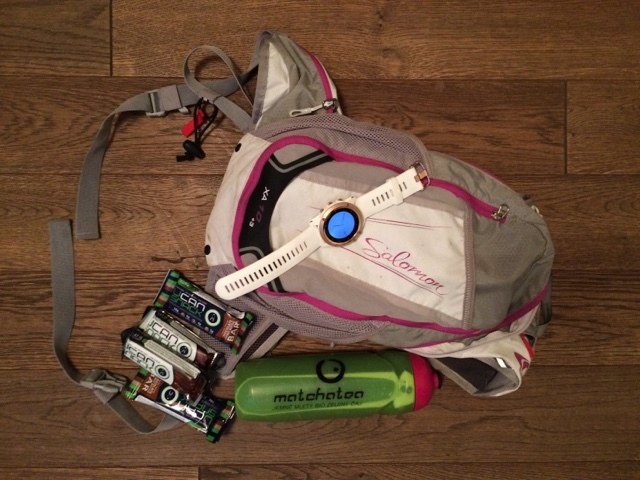 Instead the HRM has an internal memory and stores the activity data inside it and all the data are transferred after you finish your swim and you push the "save" button. However it does not mean that you cannot see your actual heart rate right in the pool. 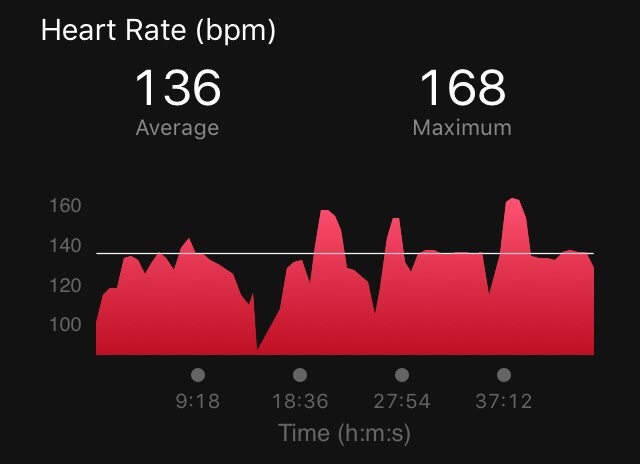 For example when you have the rest interval, when you get your watch closer to your HRM, it gets the signal and shows you the current heart rate. 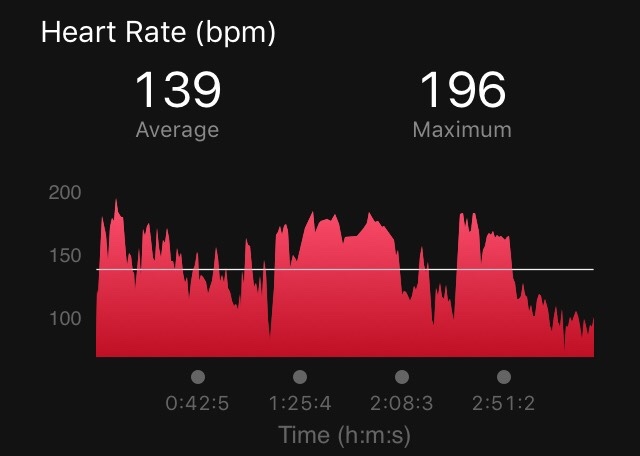 It is not very useful for watching it between the laps as it takes little time, but you can see pretty much at which hear rate you end your interval and you can also adjust the rest interval based on your heart rate. 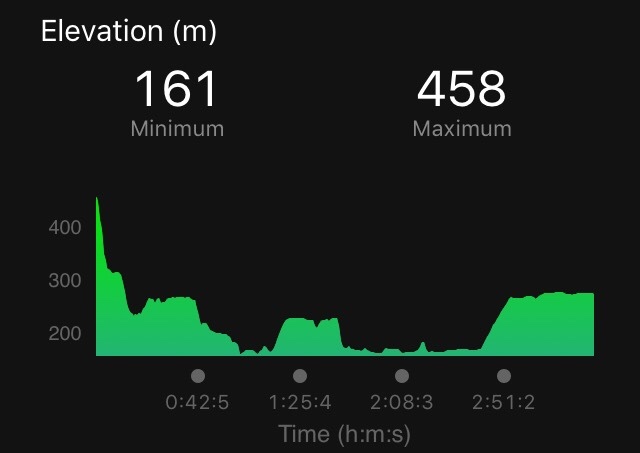 Garmin HRM-Swim - How Is It Different? The HRM-Swim has little wider belt than the "normal" Garmin HRM and all of the actual strap (the blue part) is not flexible at all and also covered with layer of adhesive material that makes it stick to your chest. 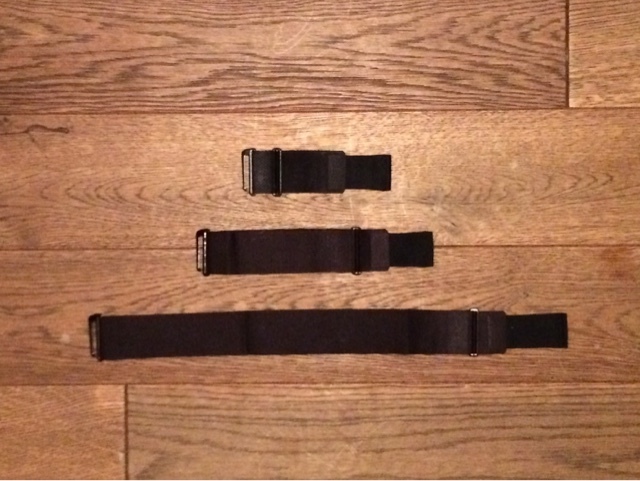 Since only the "prolonging" strap is flexible, it might take little more time to find the right set up for you. You don't want to get your chest too restricted... I heard that it perfectly stays in place even when you dive in the pool, but I did not try that yet. I will update this post as I will get more experience with the HRM-Swim. With the off season relax I have also slipped off my healthy eating habits. 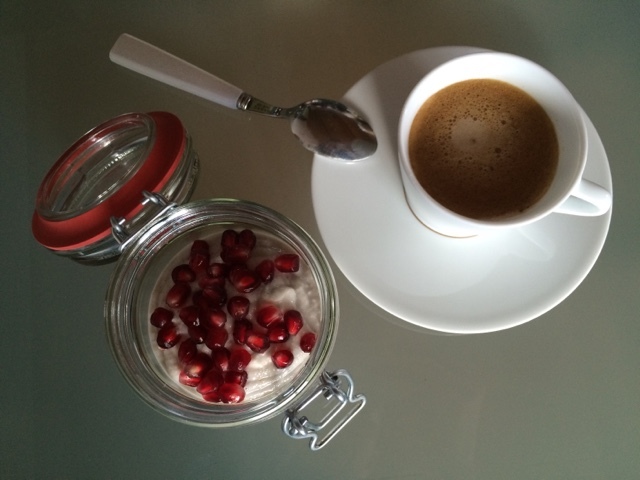 It is lot of fun, but there are also downsides: 1) I can feel it on my waistline, 2) more importantly I am not feeling great, my sleep was disrupted, my skin got worse ... Calls for action and it seems thanks to feeling sluggish I have discovered source of pleasure and happiness for my morning routine. 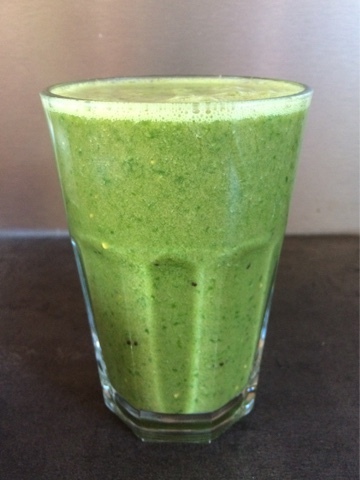 I have been drinking this detox, antioxidant and alkalizing smoothie lot of mornings lately. So I decided to share the recipe with you. I am not really doing exact measures, going by the feel. 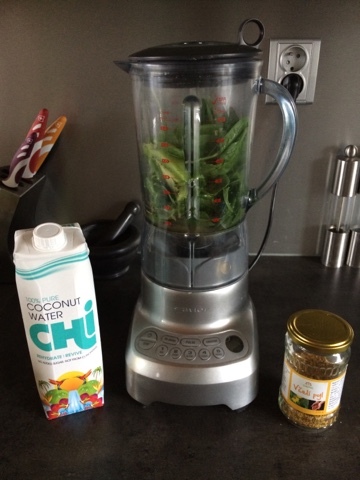 You get great starter on your daily veggie & fruit consumption by drinking this smoothie. Yumminess in glass happened today for breakfast! 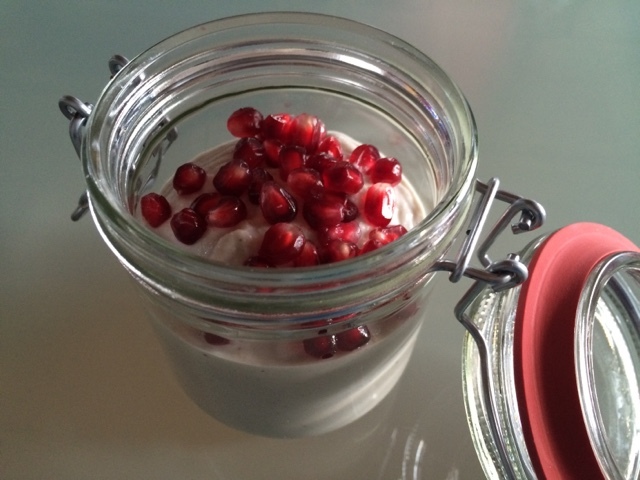 Raw yoghurt with pomegranate apple seeds from the fresh new Sweet Rawmance cookbook (it is in Czech only, original name is Sladká Rawmance), that was just revealed today! What is raw food anyway? Raw food is vegan way of eating (no animal products, no grains, do dairy...) taken step further, so anything cannot be processed by more than 42 degrees Celsius. Meaning the process includes lot of mixing, drying, combining of fruits and nuts (for the sweet creations, and obviously veggies for the savory ones) and suitable spices. 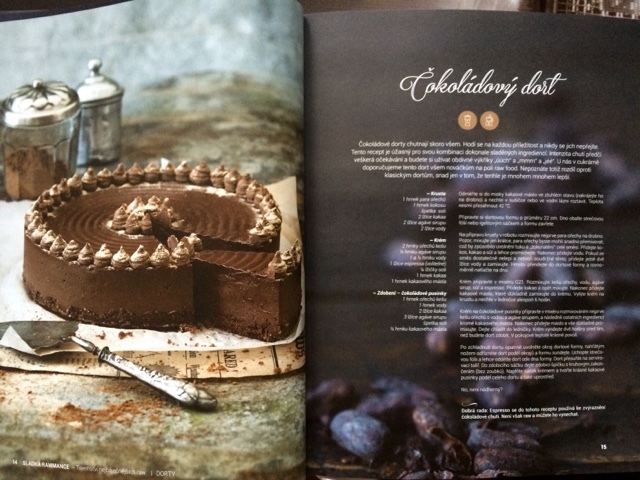 I was super lucky to get my hands on the cookbook yesterday, so I could give you my dear readers one of the very first feedbacks! 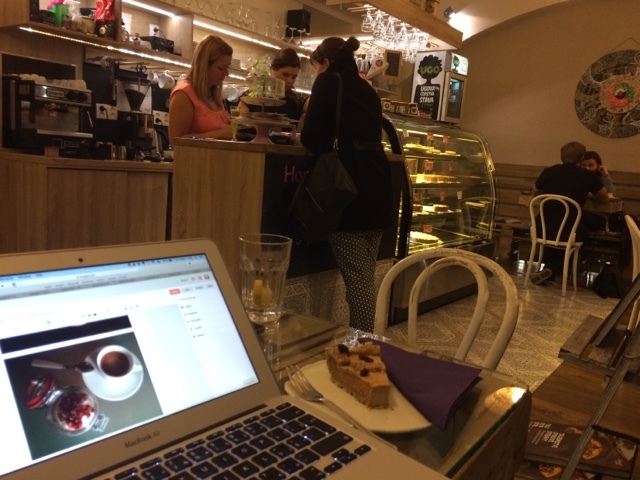 And this is already from the event itself, obviously taking place at Sweet Secret of Raw ... eating delicious pear pie while blogging for you. And here comes the book! It covers cakes, cupcakes & small desserts, breakfasts, ice creams and chocolate(!). In the introduction you will also get great guide to common troubles, ways of making nut milks, how to proceed with different kinds of kitchen appliances and what is useful for what. Like even if you never hear of raw food, you will be able to make this work in a bit. Great job done here. 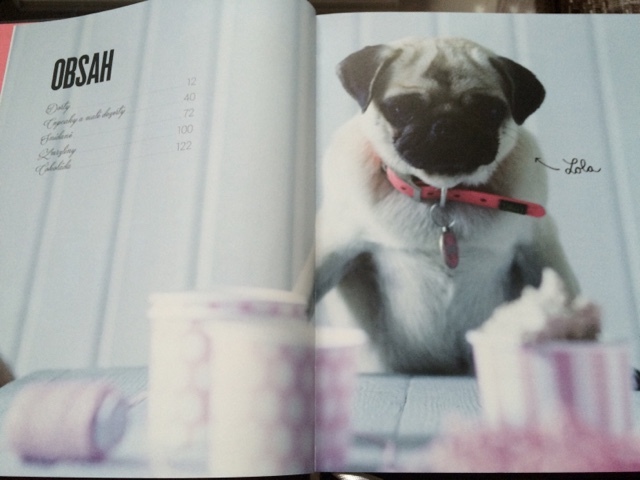 Cute little Lola (the dog) is your guide with funny remarks throughout the book. The format of book is beautiful, gorgeous photography an styling on one page and ingredients, needed machines & instructions on the other. You can download also 3 free recipes from their website. Well, I was little time pressured and also did not have an occasion for the big cake, so I decided to try two of the breakfast recipes. In the evening I started making the coconut granola with raisins and vanilla and morning obviously called for raw yoghurt. 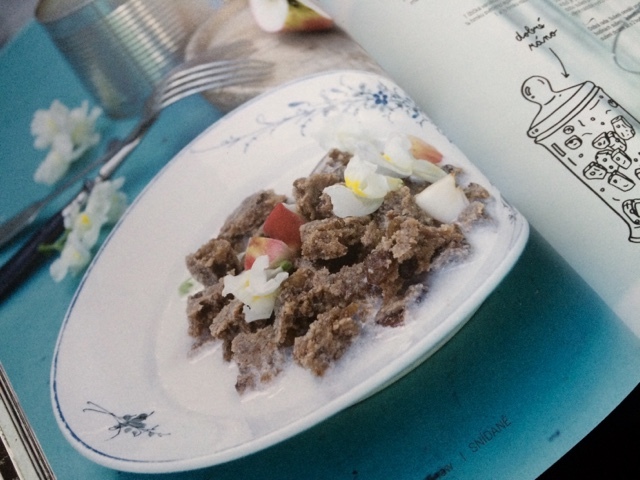 ... is one of my favorite breakfasts I would get at Sweet Secret of Raw, so that was on the menu this morning. 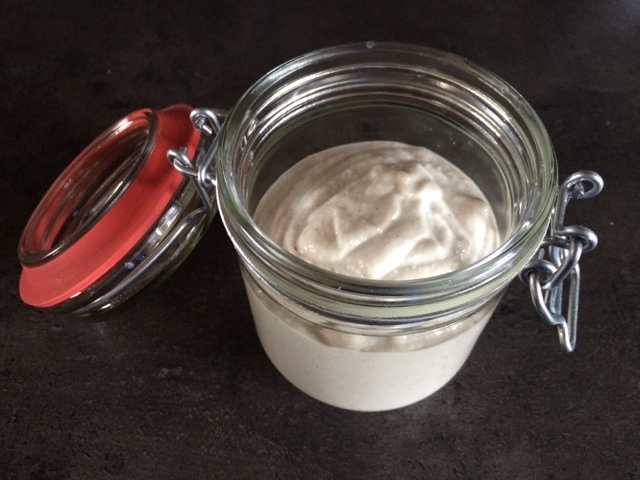 I let the cashews soak for an hour or saw (morning yoga, dog walk, shower etc.) and then was ready to eat in 5 minutes. 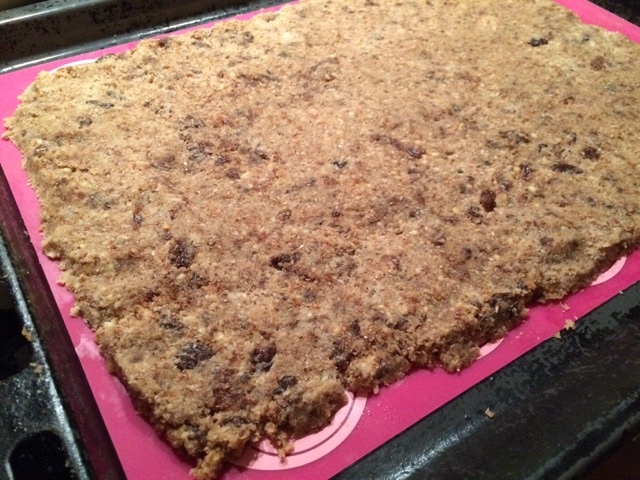 I recommend to downsize the recipe if it is just for you or for two people. 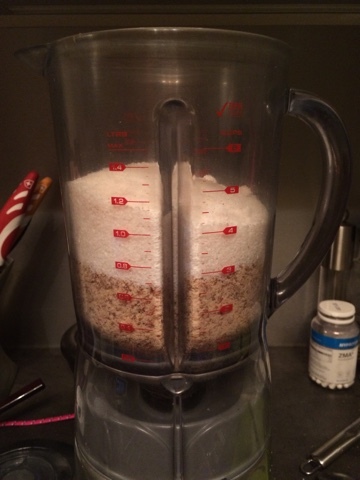 This recipe will take little more time and does not provide immediate gratification as you need to let the granola dry. 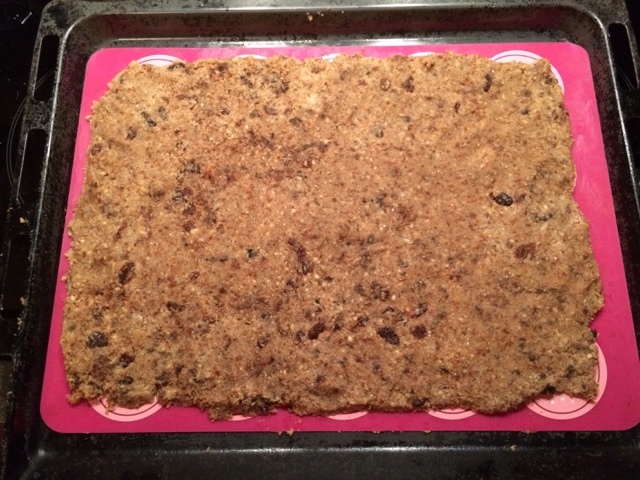 But it is totally worth it as it will create bigger batch of raw granola that will last up to month in air tight container :o) Mine is still in making, so I will update this with the final picture. 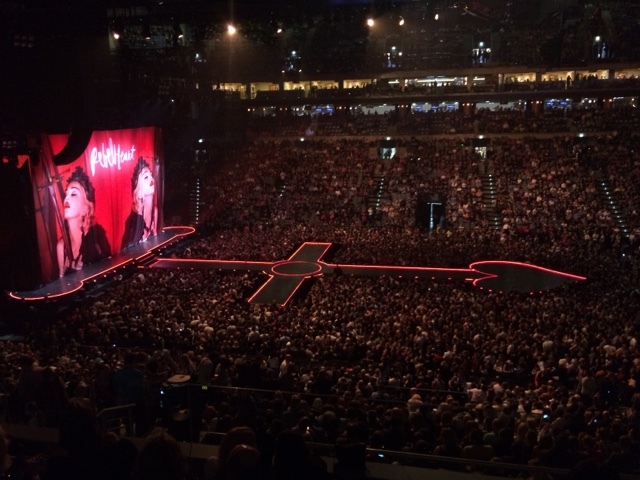 Good mixer is a must here! 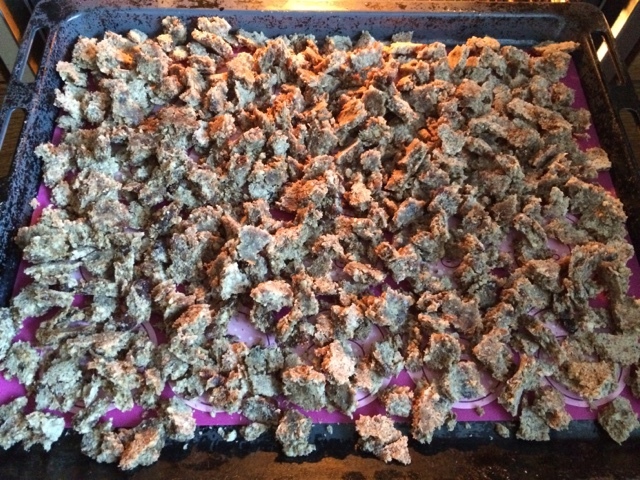 Granola after few hours, when you can break it in pieces and speed up the drying process. 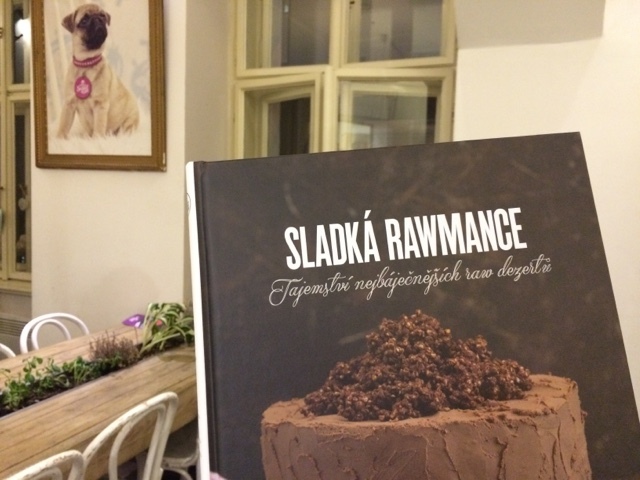 I would definitely recommend both of raw cookbooks available at www.rawkucharka.cz. Will make a great Christmas gift! The savory raw food might not be for everyone, but the sweet will please anybody. My grandma, who never heard of the concept loved the cakes. And all the desserts are healthier option to conventional sweets. 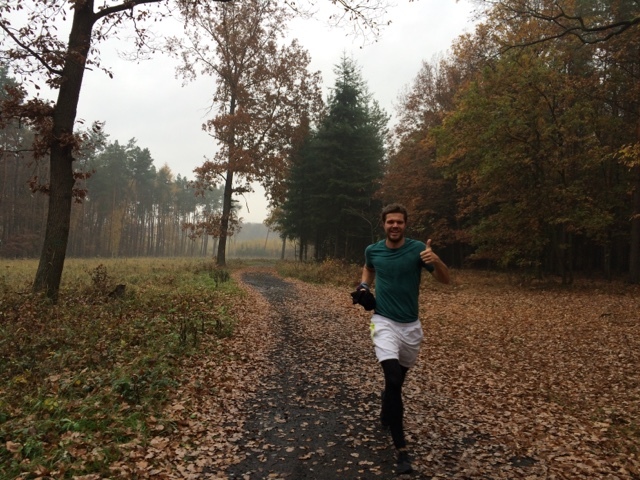 Why I Did Not Run Salomon Trail Running Cup 2015 Final? Hello there my friends, this is little off topic, but I feel the need to clear something out. 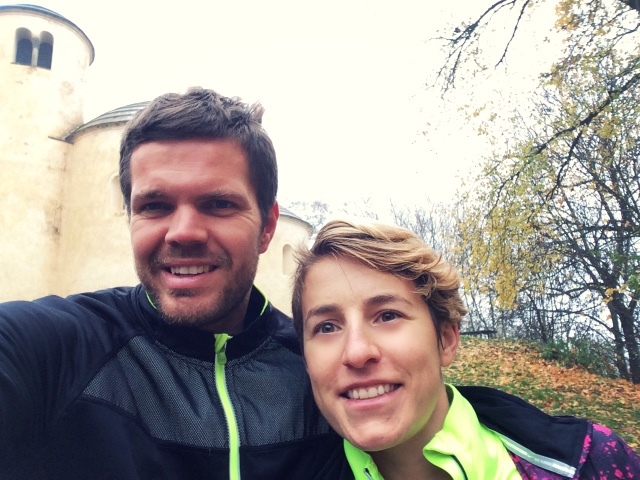 I never actually signed up for the STRC 2015 final (STRC = Salomon Trail Running Cup) aka. 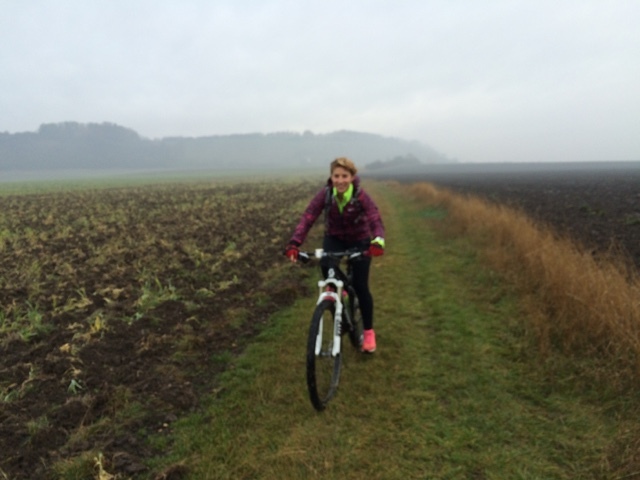 "Běh přes motolské jamky", nor was I officially invited by the organizers or anybody. Why I am writing this? Because when my friends asked me about cheering for me on Sunday morning and some more mentions came in, I was wondering why was that when I never ran the race before not did I intend to participate. I am in the after season recovery mode. How was I surprised when I found that information about my participation was published in blog post from October 22, on the race's website. 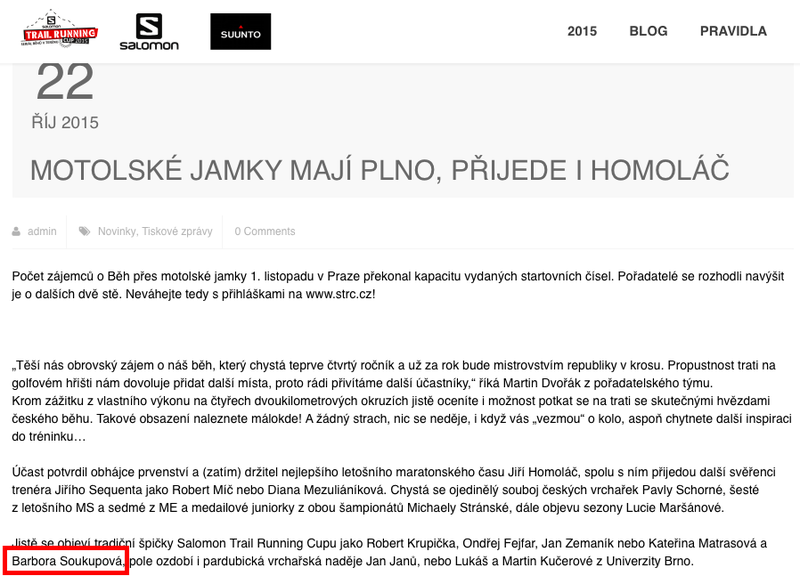 I assume that someone from the organization mistook me for Barča Nekolová from Holky ve formě, who placed on podium in most of the STRC 2015 races. I am flattered, Barča is really fast and I would kill for her achievements, but nope, that was not me. No reply from there :( I left it there because I knew I did not want to run, I had cross training and fun on my mind for the weekend (aka the kick bike trip from my previous post :) ). 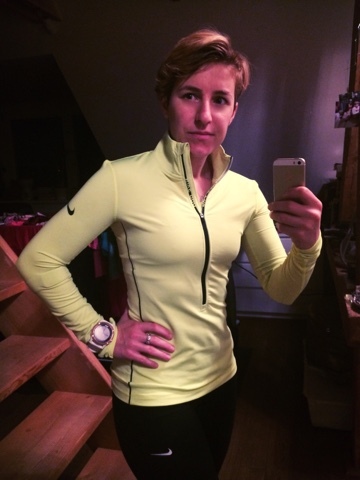 When I started to get more and more questions and people telling me that the speaker at the race actually spoke about me before the start I got really confused and that is when I found out about the blog post on the STRC website. I didn't like that it made me look like someone who promised to participate and then did not show up. I messaged the STRC on Facebook, but unfortunately got no answer until today (which is Tuesday, two days later). Please be aware that this is not mistake of Salomon, whose products I love to use for trail running and winter sports. The STRC race series are actually organized by an agency. Well I hope they get better next year or Salomon chooses someone else for the organization. Don't wanna be all negative, so please let me know in the comments how were your weekend races and / or workouts?